Coffee is the brew of choice for many on the Northern Beaches anwd across Australia. The tonic to a groggy morning and the pick-me-up on a busy afternoon. 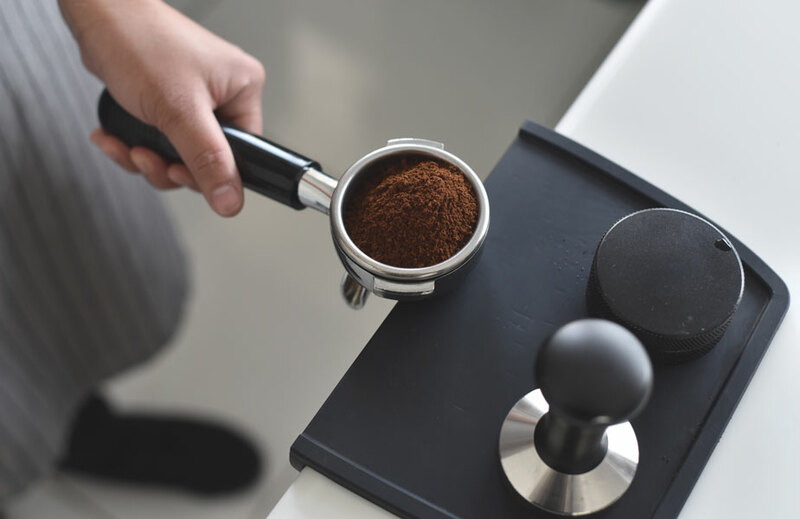 In this world where coffee is king, the barista holds a special place of honour and the bean, grinder and coffee machine come under close scrutiny. Discerning coffee drinkers have high demands and enjoy almost unlimited choices. Lattes, long blacks and piccolos are just the start. Now there is cold drip, pour overs and nitro cold brew – NCB - on tap. The care and dedication to a cup of coffee begins long before the brew is served. Beans are selected from around the globe, often after a number of different tasting sessions that consider the notes, body and acidity. As beans change depending on the season, it does not mean the same bean will be selected the next time. These beans are then put through the complex roasting process either in-house or at a roasters, with single origins generally roasted first and blends mixed afterwards. Roasters are constantly varying and fine-tuning the roasting process, which is as much about science as art. The grinding of the beans and the selection of coffee machine as well as the skill of the person making the coffee, are also all variables that will impact the taste of the coffee. It is becoming more common for each shot of coffee to be weighed, especially in specialty coffee houses and cafés. Around 2.25 billion cups of coffee are consumed every single day, making it the second most traded commodity in the world – the first is oil. The Finns are the world’s biggest coffee consumers, an average of four cups a day, and together with Norway and the Netherlands, make up the top three. Australia is ranked 28th for coffee consumption. The 12 to 17-year-olds now make up the most rapidly growing group of coffee drinkers. It is estimated Australians use 1 billion disposable coffee cups each year. That’s approximately 2,700,000 paper coffee cups thrown out every day. The escalating war on waste has seen coffee drinkers turn to Keep Cups and cafés offering discounts to coffee drinkers who bring their own cup. The Northern Beaches Council has launched a campaign against single use plastics that includes coffee cups. Across Australia the latte is the most popular drink with 39% of coffee drinkers choosing lattes and 24% flat whites. The next most popular coffee is cappuccino – 16%. However, in NSW the flat white is favoured by 25% of coffee drinkers, making it the most popular coffee in the state. While a latte is the most popular coffee choice across the country, Square Report data showed that sales of flat whites have been steadily increasing, up by more than 22% since 2015, with cappuccinos and long blacks also increasing in popularity. The past two years have also seen a surge in popularity of coffees infused with cool new flavours, such as matcha and chai. From October 2015 to October 2017, there was a 120% increase in the sales of chai lattes and a whopping 360% growth in the matcha-infused brew. 2017 was the year that also saw more adventurous latte flavours introduced on menus across the country — including beetroot, taro and turmeric. While they all started to show signs of growth in 2017, the biggest spike was seen in turmeric lattes, more than doubling in popularity (120%) between April and July. The average cost of a cup of coffee in Sydney is $4 for a Cappuccino, $4.21 for Chai, $3.92 for a Flat White, $4.11 for a Hot Chocolate, $5.84 for an Iced Coffee, $3.98 for a Latte, $3.75 for a Long Black and $4.15 for a Mocha. Sourced from: www.squareup.com/2017 Square Report.